The Lesbian, Gay, Bisexual, Transgender, Queer, Intersex, Asexual, and Allies community (abbreviated LGBTQIA or "LGBT") is responding to a radically changed social and political environment. 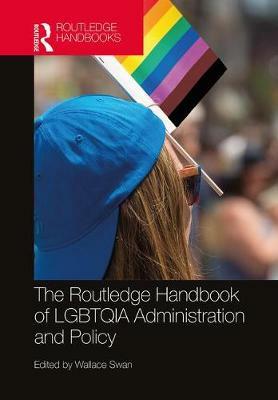 While a host of books have analyzed legal dimensions of LGBT public policy, this authoritative Routledge handbook is the first to utilize up-to-the-minute empirical data to examine and unpick the corrosive "post-factual" changes undermining LGBT public policy development. Taking an innovative look at a wide range of social and policy issues of broad interest-including homelessness, transgender rights, healthcare, immigration, substance abuse, caring for senior members of the community, sexual education, resilience, and international policy-through contributions from established scholars and rising stars, this comprehensive and cutting-edge volume will be a landmark reference work on LGBT administration and policy for decades to come. Wallace Swan is Contributing Faculty Member at Walden University, USA and Adjunct Instructor at Hamline University, USA.